I was 14 when I tried a cigarette for the first time. Walking through town on the way home, I found an almost full packet of Marlboros on a table outside a local café. The thrill of the illicit took me, and so I took the cigarettes, scarpering before anyone could catch me. While my parents were out, I went down to the bottom of our garden, hid behind a tree and lit up for the first time, fully expecting to feel a hundred times cooler and more sophisticated. Hot, harsh and absolutely foul-tasting, I stubbed the cigarette out after about three puffs. I walked over to a neighbouring street and threw the rest of the pack in the trash (I was more scared of my mom finding cigarettes than I ever would be about lung cancer). I knew kids at school who smoked - smart kids, too - so I assumed there must have been something to enjoy about sucking poisonous smoke into my lungs. I was wrong, and felt very stupid indeed. Six smoke-free years later I was at college, studying in Leeds, UK. College is a time for experimentation, for trying new things, but taking up smoking was not on my list of priorities. In England the legal drinking age is 18, so my friends and I would regularly go out and get hammered, as almost all university students do in England. Being a good boy, I would stay and chat to my non-smoking friends while the other went out for a smoke, but some nights I had no choice but to follow my friends into the smoking area, lest I be left alone in the club. Years later, I would realise that this was my first step down the slippery slope of social smoking. Initially I would just chat to my friends while they smoked, but it always felt awkward to just stand there while everyone else was puffing away. After a couple of offers, I started accepting cigarettes from friends, and boy, what a difference six years can make. The crisp, sharp warmth of the inhale, the soothing release of the exhale, and the subtle buzz of the nicotine rush. Cigarettes weren’t disgusting; they were amazing. But it wasn’t the physical effects of smoking that I loved, it was the society I had entered as a result. Taking up smoking gives you the keys to an exclusive club. It lets you into conversations you wouldn’t otherwise have had, it introduces you to people you wouldn’t otherwise have met; it turns you into a kind of social elite. While everyone else is inside pretending to enjoy the thumping headache of a nightclub, we’re outside laughing, talking rubbish and bonding, all thanks to cigarettes. Pretty soon I was buying cigarettes to take on nights out. “You’re going to be smoking anyway," I told myself. “So you might as well stop being a bum and get your own." At that point I stopped being someone who smoked when offered a cigarette and became someone who smoked of their own accord. This was my second step down the slippery slope. The promise I made myself was that I would only smoke when I went drinking, a promise I kept throughout college. Cigarettes without alcohol were like Queen without Freddie Mercury: absolutely awful. I had no desire to smoke without a pint glass in my hand, so I never did - what was the point? Then all of a sudden, college ended and I found myself unemployed. There I was in my apartment, with no job, nothing to occupy my mind, nothing to do. All I had was a TV and a packet of cigarettes, so I started watching daytime television, breaking up the day with cigarettes. If smoking has taught me anything, it’s that justifying your actions to yourself is incredibly easy: I was already smoking in the evening with my friends, so what harm could a couple more do? 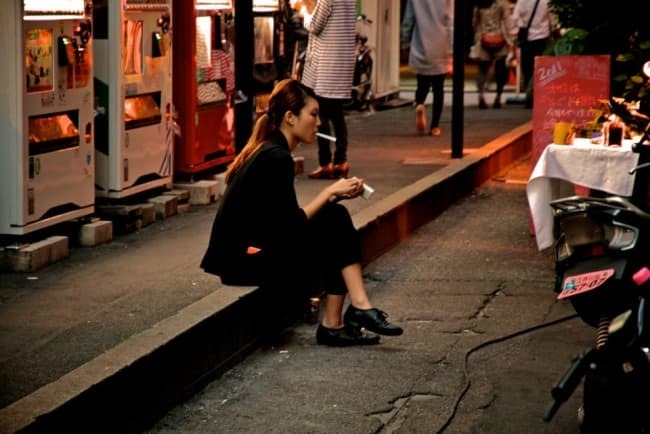 There’s no medical definition of what constitutes a social smoker, but it’s fair to say that once you start smoking outside of social situations, you no longer fit the bill: you’re just a smoker. But if there’s anything more powerful than the need for nicotine, it’s denial. I told myself (and others) that I wasn’t really a smoker, that I wasn’t addicted to cigarettes, that I could stop any time I wanted. While this was partly true, none of it changed the fact that I was still smoking on a regular basis. I was still a smoker. It was a good four years before I realised I was falling into a trap. So I stopped. And when I stopped, I didn’t feel the need to start again. I had no cravings, no withdrawal symptoms. I even saw people smoking on the street and thought, “Eew, that looks horrible. Why did I ever think that was a good thing to do?" And for a couple of months, I stuck to it. No smoking, no thoughts of smoking. But the thing about denial is that until you confront it, it never goes away. So when, on a night out, a friend asked if I wanted to share a pack of cigarettes, I thought, “Sure! I’m not a smoker, I can have a few cigarettes." So I had a few cigarettes. And when we ran out, I bought more cigarettes. And the next morning, I still had cigarettes. So I smoked a few cigarettes. And then I bought more cigarettes. And so the cycled started up all over again. I never stopped being a smoker, I just hadn’t smoked in a while. Here’s the thing about smoking: you either smoke or you don’t. There’s no point trying to fool yourself into thinking that because you don’t smoke as much as other people, that makes you less of a smoker. If you regularly, purposefully inhale cigarette smoke, you’re a smoker. 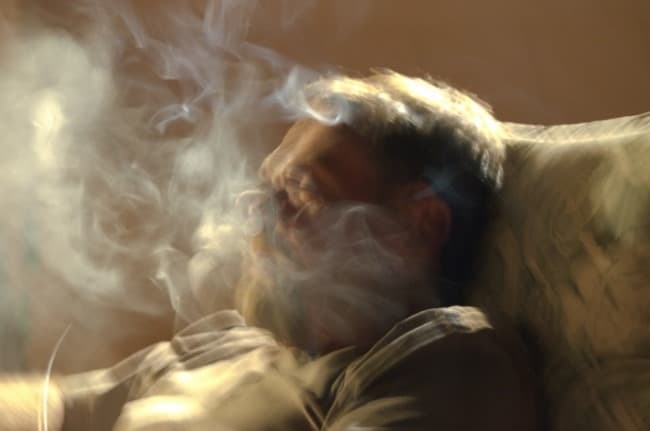 The idea of being a social smoker is denial manifest; it’s a label we give ourselves to make us feel better about the fact that we’re just as bad as everyone else. 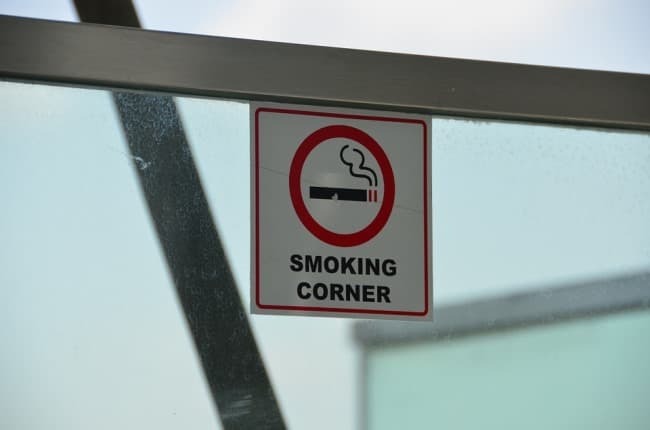 There are degrees, sure, but if you’ve gotten to the stage where you need to differentiate between yourself and smokers, the lines are already blurred beyond clarification. I’m still stuck in the cycle. It’s been a while, but I know I’m going to smoke again. Until I make the conscious, concrete decision to never, under any circumstances, inhale the smoke of a cigarette again, I’ll always be a smoker. Cigarettes aren’t just physically addictive, they’re psychologically addictive. You may not experience the gut-wrenching cravings for nicotine, but as I well know, just the thought of sitting in the sun with a beer and a cigarette is enough to make you pick up pack. So if you’re serious about leaving smoking behind, we need to stop making exceptions and accept that smoking is smoking, whatever the circumstances. It’s a slippery slope, yes, but no matter how far down you find yourself sliding, there’s always a path back to the top.